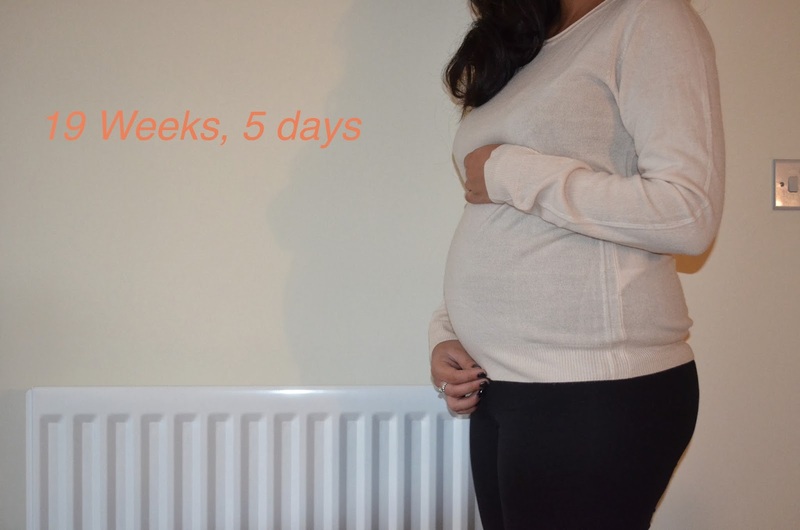 So I thought it would be a nice idea to document my pregnancy on my blog. Not only for myself to look back on but for everyone else to see how I’m getting on with the ever wonders of pregnancy. I am going to kick off with my 19 week update. documenting my gain on my blog! with champagne etc and i’ll be stuck with some form of non-alcoholic alternative. Boo! Oh well, I know it’s for a good cause. and kicks so much. I love it! Daddy hasn’t felt a kick yet, but I am hoping he will very soon, I’m sure he thinks I’m making it up! Starbucks with lots of cream!!!!!! want to eat anything and everything. of a reason to push, I suppose! so I will need to take extra tablets for this as well as my prenatal vitamins. when I poke my finger inside it feels like it’s about to pop out. the morning, but miserable come the evening. see my little chubs (nickname for baby) again! Tomorrow’s post contains my typical Sunday with the family and what I got up to. Lots of seasonal delights! !